People ask me several times that how to create a website or how to make a website in easy manner. 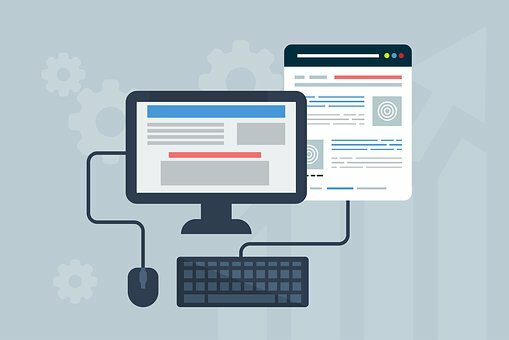 Well this article is dedicated to people who want to build their own website. 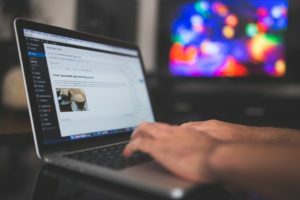 Here I am going to tell you how to make a website using WordPress. WordPress is the best web application that most of website builders use nowadays because it is easy to create your own website using wordpress. The WordPress provides you drag and drop tools that helps alot in making a website. WordPress is a free web application. So, you can create a website for free all you need to pay is for your domain and hosting charges to your domain registrar and hosting service provider. WordPress is the most popular website builder tool used for creating more than 60 million websites in this world. WordPress tool is written under php language. This website maker tool is used for creating blogging and other light websites. WordPress provides you many free themes that are ready to be installed. So, it take only couple of minutes to create a website easily. There are many websites also that provides wordpress professional themes according to your needs that you can use to buy premium themes that are used by heavy websites and can install those wordpress themes to create a website. Here I am going to tell you some steps to create a website and these steps are to be followed after buying domain name and web hosting. I hope you have bought them and if not than you can read my past articles about domain and hosting to buy them at cheap prices. Go to your hosting Cpanel. 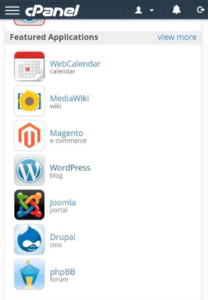 Find WordPress in Web Applications and Install it. During installation it asks for the domain name on which you want to install wordpress. Choose the domain name that you want to use to make a website. Enter the Admin Username, Password and Admin Email Address. Click on Install and it will get installed on your hosting on the selected domain name. After you install the WordPress it will take you to setup wizard where you can choose desired theme from Free WordPress themes or can buy a professional theme according to your choice. You have created your own website till this step. Now it’s time to know how to use wordpress to create a website according to your needs. You can know how to use wordpress by reading this article.